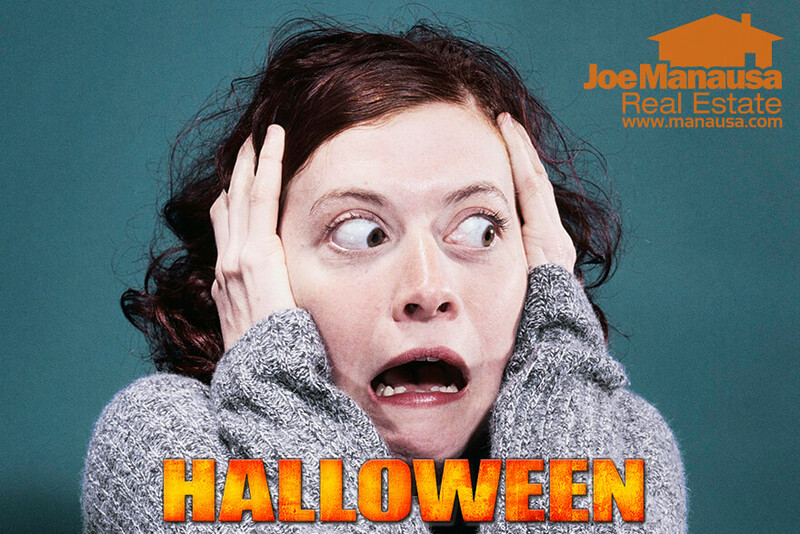 Was It Halloween That Spooked These Home Sellers? Did Halloween Spook These Home Sellers Into Massive Price Reductions? While many of us will celebrate Halloween this evening, I've found a group of home sellers who appear to have been spooked. Whether possessed or repossessed, these sellers have cut like crazy. Our Halloween List includes all active listings that have been reduced by more than 20%! Are Homes With Huge Price Reductions Good Deals? When we see a home with a reduced price, it is easy to assume that the homeowner is starting to get motivated. After all, a price reduction surely equates to "good deal," right? As Lee Corso (College Gameday) would say ... "Not so fast my friend." A grossly over-priced home that changes to an over-priced home is no deal at all. It's not about how it used to be priced, it's about whether or not the current price makes the home attractive to mutliple buyers. Take a look at the homes shown above. All were discounted by more than 20% of their initial asking price, yet many of them remain unwanted. Even a huge price reduction has not dragged these homeowners from Fantasy Land to the reality of current conditions in the Tallahassee real estate market. And remember, it's a seller's market (conditions are great) ... yet massive price reductions did not solve the problem for these home sellers. Pricing a home high and then reducing the asking price until it sells is the old-fashioned way we used to sell homes. Back then, it took so long to reach all prospective buyers that you wanted to give a home time on the market to season and get all interested parties ready to bid. Today, we do that digitally, before even hitting the market. Those that fail to create a bidding war on day 1 leave money on the table, while those that encounter mutliple buyers "spook" the buyers to bid up the price. We typically see huge opportunities after Halloween, because there are fewer people in the market. Whether buying a home, selling a home, or both, you should take the time to discover the niche benefits available this time of year. A savvy consumer can do very well before year's end. Want to know more? Simply give us a call at (850) 366-8917 or drop us a note and we'll be in touch right away to schedule a time to talk.